Our complete end-to-end solutions tailored to meet all of the visualization, connectivity, monitoring, control and mobility needs of your products and systems. From world class products to efficient, flexible and connected manufacturing systems. Pyramid Solutions can significantly reduce your overall EtherNet/IP development project duration while also ensuring that your device is conformant and interoperable. We are a trusted EtherNet/IP engineering partner for many organizations – including some of the world’s largest OEMs. Developing a conformant DeviceNet device is not an easy task. Depending on the complexity of the device, engineering and development efforts can take anywhere from months to years to complete. And if you fail the conformance test, your time to market slips and expenses can greatly increase. 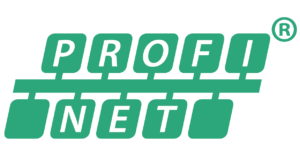 Finding the right partner can make all the difference when developing a PROFINET device. Pyramid Solutions has PROFINET stacks, tools, talent and skills to ensure your device functions in minimal time and with excellent conformance and interoperability. Focus on what you’re known for and we’ll do the same. Let Pyramid Solutions handle your J1939 development and connectivity needs. Our skilled J1939 engineering team works with top OEM’s worldwide to ensure their products are highly functional, conformant and interoperable.